Richard Jones is the executive chef at Green Door Gourmet, a 350-acre farm and agritourism destination in Nashville. He works to develop recipes to help Green Door CSA members better utilize produce, and to further the education and encouragement of community-supported agriculture in the Middle Tennessee area. 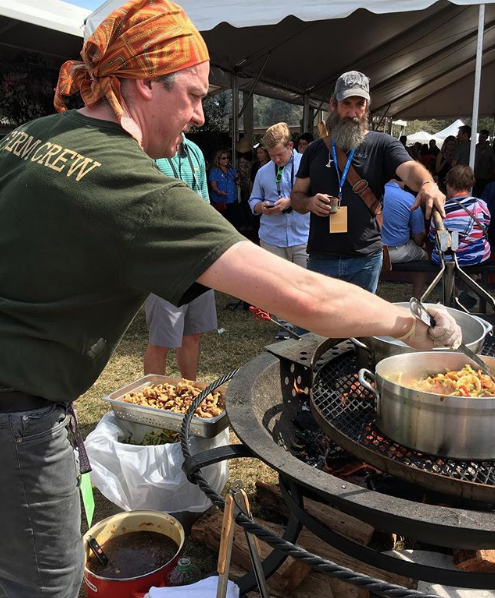 Chef Jones spoke with host Sam Benrubi at the Springer Mountain Farms campfire about the Australian influence (yes, he’s an Aussie!) on the chicken dish he prepared at the festival.